Traditionally, it's looked down upon, as a wedding guest, to dress more ostensibly than the bride. 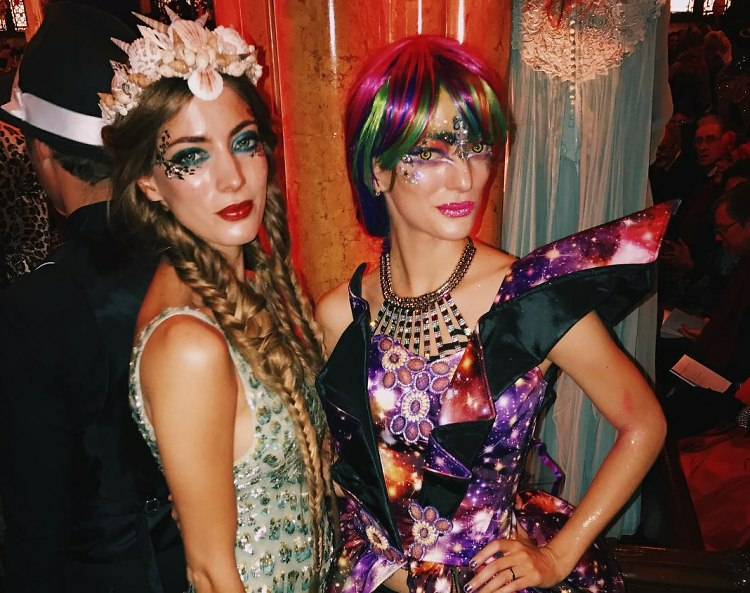 But when the bride is a stylish reporter and the groom is a Santo Domingo, their nuptials are Halloween-themed, and their friends include Giovanna Battaglia Engelbert, Sofía Sanchez de Betak, and Fabiola Beracasa Beckman, you can bet your rainbow unicorn horn that all rules go straight out the window. Over the weekend, Nieves Zuberbühler married Julio Mario Santo Domingo III in Red Hook, Brooklyn, walking down the aisle in a Brandon Maxwell-designed gown inspired by pre-Raphaelite art. What followed was an all night rager at Pioneer Works, a fantasy forest-turned-dance party for the ages. While the bride's after-party outfit drew gasps (she had the designer chop her gown into a mini), it was certainly the fashionable guests who turned the most heads. We mean, how often do you get to dress as Cher at a wedding?